Josep María Comes is CEO of Principat Qualipreven, from the Pirineu Inspection and Control Group, since 1991. He studied his degree in Civil Engineering of Structures at the Universidad Politécnica de Catalunya. Chemical Engineer of the National University of Buenos Aires, specialist in Sustainable Development of the Bolivarian University of Chile and Master in Management of Sustainable Tourism of the University for International Cooperation (UCI). Founder and President of Fundación Plan21 for the Sustainable Human Development of Argentina. Director of the Institute of Sustainable Tourism for Latin America and the Caribbean since 2014. He is Professor and Principal Investigator of the National University of Lanús, with more than 20 years of teaching experience and from 2012 to 2017 he was director of the Master's Program in Sustainable Tourism Management at the UCI, one of the oldest in Spanish speech. As a consultant, he has been part of international cooperation projects of Multilateral Organizations, Public Sector and Private Foundations. 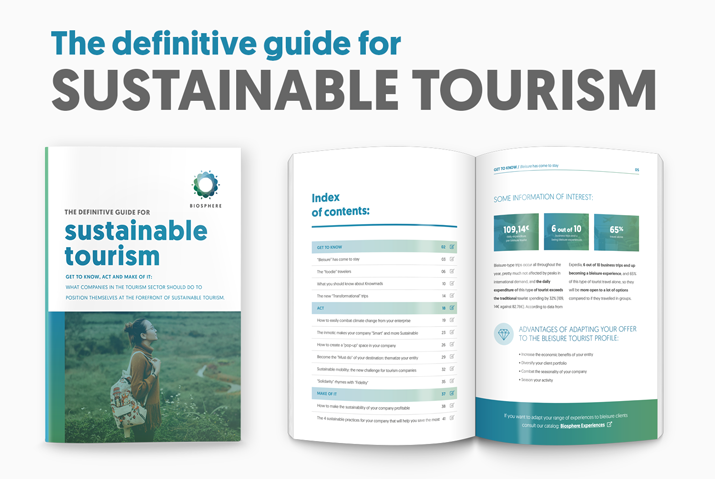 He was co-founder in 2003 of the Sustainable Tourism Certification Network of the Americas and co-founder of the Global Sustainable Tourism Council, where he served as the first representative of Latin America in the Board of Directors in the period 2010-2012. As a writer he has written essays and several articles on the environmental, social and economic problems of the current development model, highlighting the authorship of the book "Tourism and Sustainability, a complex relationship" and the co-authorship of "Tourism and Poverty, an approach to the development models "and" Notes on Human Development ". Architect of the National University of La Plata - Argentina. Master's degree in Engineering in Environment and Natural Resources, at the Loyola University of La Paz, Bolivia. Diploma in Latin American Cultural Heritage at the Blas Pascal University of Córdoba, Argentina. Participant of the Program of Conservation and Management of Historic Buildings at the University of Lund, Sweden. Founder and President of the Dr. Manuel García Capriles Foundation "emegece" of Bolivia created in 2006. Founder, Partner and Legal Representative of the Ecobiological and Academic International Consultancy "EcoDreams" of Bolivia created in 2008. Former President of the College of Architects of Bolivia. Former President of the Regional of Architects of the Andean Group. In the field of Education he works as a workshop trainer and teacher of Diplomas from the Universities of San Simón, Autónoma Tomas Frías, Oruro Technique, Mayor of San Andrés, Bolivian Catholic "San Pablo", Our Lady of La Paz, and Public of El Alto. As a consultant he has been part of international cooperation projects of Multilateral Organizations, Public Sector and Private Foundations. He was the driving force since 2014 of the Geopark concept in Bolivia and promoter of the creation of the First Andino Torotoro Geopark. As a writer he has authored essays and several articles on the environmental, patrimonial and architectural conservation issues, having published in a sustained manner since 2006 a newsletter on these issues. In addition to having published several books on Heritage. Mara holds a Master Degree in Environmental Sciences and Degree in Chemistry from the UERJ - Rio de Janeiro State University, Brazil. She is Founder and CEO at SUSTENTARE Desenvolvimento Organizacional Sustentável, a consulting company, specialized in Corporate Sustainability, improving company's practices and integrating the ODS to provide a sustainable development. Mara was in charge of the HSE department of oil and energy companies, managing the sustainable programs and initiatives. She is specialist in environmental programs, environmental legislation, HSE procedures, licensing and environmental preservation/recovery. She is also Auditor in Environment, Quality, Safety and Management Systems. She has focused her career on environmental and sustainable programs in Brazilian industries and World bank enviromental and social financials programs. Cristina Abreu has a Master in Sustainable Tourism Destinations and Territorial Tourism Planning at University of Lleida / Barcelona, a degree in Biology from the University of Lisbon, Portugal, Postgrad in Ecosystem Services - University of Minho and holds the title of Professional Environment Expert by the Portuguese Chamber of Biologists (Ordem dos Biólogos). She is the founder and CEO of TecAmbiente Lda, a consulting company on environment, sustainable development and tourism. She has a vast international experience as Auditor on Tourism and Environment Certification Systems both implementing and auditing management and certification. As a biologist she worked on ecology, nature conservation, and protected areas including UNESCO Biosphere Reserves, Natura 2000 sites. She is connected to teaching at secondary and university level as well as on professional and long life training. Currently she does research on nature-based solutions in tourism under a PhD Programme on Tourism Management. Biologist with a Master's Degree in Sustainable Development and Conservation Biology, Liza has been actively involved in the coordination and management of conservation and sustainable development projects at a local and international level. She has interacted at different levels in the design, management, and execution of sustainable programs and initiatives both globally and locally, with an extensive experience in coordination and management.Her beginnings with community projects and non-forest products in her native Colombia led her to support the management of the biodiversity project portfolio of the Foundation for the United Nations, where she also collaborated in knowledge management exercises. Afterward, Liza settled in Belize where she was the coordinator of the Alliance for the Mesoamerican Reef of ICRAN, a multiagency and international effort to promote sustainable practices in tourism, fisheries and watershed management; seeking to minimize the impacts on the second largest barrier reef in the world. 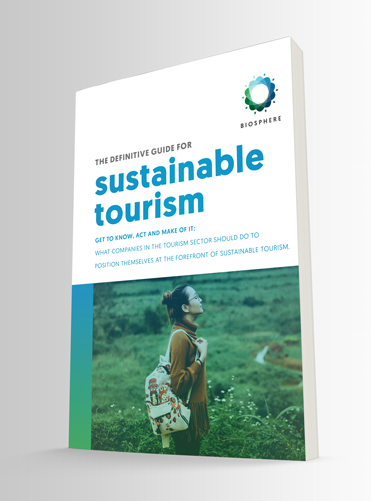 In recent years, Liza was Senior Program Manager for the Global Sustainable Tourism Council (GSTC). She is a founding member and President of Q4C Group, a company dedicated to quality certification, as well as founder of Planet 4 People, a company dedicated to the market solution for conservation. Professional in Finance and Foreign Trade with international vision, ability in the development of sustainable businesses and ability to assess how global trends affect business strategy. 13 years of experience in research, formulation, management and dissemination of innovative projects in bioeconomy and sustainable tourism. Bachelor in Industrial Engineering and with a postgraduate degree in Supply Chain Management; He has more than 20 years of work experience, and has been an external auditor and facilitator for third-party certification bodies for 15 years. He is representative for Nicaragua, Costa Rica and Panama of Q4C Group, a company dedicated to quality certification, and of Planet 4 People, a company dedicated to the solution of markets for conservation. He has been actively involved as a trainer in organizational management models, quality and environmental management systems, strategic planning; and consultant of projects of improvement of processes, strategic planning, quality, environment, neutral carbon, security and occupational health, tourism and continuous improvement in organizations of diverse economic activities. Gerardo has been involved in the design, development and planning of national, regional and international technical standardization, which led to actively participate in the updating of the reference standard, training of auditors and scheme for certification of tourism sustainability in Costa Rica. Marija has seventeen years of professional experience in development and implementation of sustainable development projects in the Republic of Croatia and the SEE region. She holds MBA degree by the Zagreb School of Economics and Management. She has “hands on experience” working eight years on establishment of Eco Centre Zlatna Greda, in 2016 awarded as the best sustainable tourism project by the Ministry of tourism; for three years managing Eco Centre Mavrovic, based on promotion of organic agriculture and healthy lifestyles; for six years working as part of United Nations Development Programme improving management of eight national parks and eleven nature parks in Croatia. In 2018, Marija started private consulting business, working on projects that can bring social, economic or environmental benefit to the people and the planet. Carmen has a degree in Public Accounting and Auditing with an MBA in sustainability and a candidate to study a PhD in Sustainable Projects. She has 30 years of work experience, which covers management positions in multinational companies, state ministries, and boards of directors. She founded the consulting firm CERTIFICA in 2009 dedicated to sustainable development and tourism that has representation in Guatemala and El Salvador, working projects that have covered 32 countries throughout Latin America and the Caribbean. In 2010, she created the GREAT Green Deal Certification Program to support companies in terms of management systems and in 2011 obtained the approval of the Global Sustainable Tourism Council (GSTC) on sustainability regulations based on the global criteria for the certification of accommodation services and tour operators. Fernando Mandri is an expert in tourism quality, marketing planning and tourism development, with over 20 years of national and international experience, he has a Master in Tourism from the University of Las Palmas de Gran Canaria, Spain. He has conducted numerous studies in more than 16 countries and is the founder of INTEGRA Tourism For Good S.L. based in Barcelona, Spain, with offices in México Distrito Federal and Santiago de Chile. Some of his most relevant projects have been the implementation of tourism quality systems in Spain, Belgium and Mexico, the creation of integral tourist development plans in countries such as Panama or the Tourism Marketing Plan for Ecuador, as well as various international projects such as the re-launch of a 1200-room hotel in Yalta, Ukraine or the development of the national quality plan in Nicaragua. Expert in tourism quality and implementation of quality programs for federal SECTUR as Tesoros de Mexico in states such as Oaxaca, Morelos, Puebla, and Guanajuato. She is also an auditor of the Sustainable Tourism Biosphere Certificate. She has more than 18 years of experience in the hotel industry, she has been the director of hotels and obtained these high-quality certifications. She also served as director of food & beverage, as well as a restaurant entrepreneur. She is currently a senior consultant in tourism companies. She has given training courses in government programs in the states of Guanajuato, Oaxaca, Edo. de México, San Luis Potosí, among others, covering topics such as marketing, quality, service, innovation, and creativity. She has training in Hotel Management in Les Roches, Switzerland. With a degree in Tourism Resources Management, Paulina González is an expert in logistics, marketing, quality and project development. She has coordinated the development of various national and international events and projects, highlighting: state tourism training programs, the Sustainable and Social Tourism Summit Cancun, public relations agendas for the public and private sectors, both national and international. She has developed and coordinated several international tours to promote destinations, tourism fairs, workshops and presentations. She is a dynamic, cheerful, proactive and focused on results. She is currently a senior consultant in tourism, implementing tourist quality programs such as Biosphere of the Responsible Tourism Institute, and Tesoros de México, also as an expert in logistics and PR. Pioneer & Past Vice Chancellor, Afe Babalola University, and the President/Founder of Sidi Osho Foundation, Nigeria. Frederic TARDIEU is a retired property developer that, together with his wife Christiane MASTANTUONO, interior decorator, decided to devote their energy to the conservation of biodiversity and ecosystem systems in small islands, and to promote the development of their Island, Pangatalan, Palawan (Philippines) through sustainable tourism. Fred is the Chairman of Sulubaai Foundation Environmental Foundation (SEF), a Philippine-based non-profit organization dedicated to conserve, protect, and restore the natural resources of Palawan Island through environmentally sustainable practices and active ecosystems restoration. It is a private initiative funded by eco-tourism. Bachelor in Tourism Administration with postgraduate studies in Strategic Project Management, Marketing and Sustainable Tourism. Work experience developing functions of planning, training, development and marketing of tourism products, especially those related to ecotourism and rural communities. Experience in teaching in recognized educational institutions of the country. Ability to plan and manage projects, financial plans, marketing and sales plans. Knowledge of web technologies and electronic commerce. More than 20 years of experience in the commercialization of tourist destinations and project development, working in public and private institutions. Currently director and founding partner of the consulting company TURSE, the Bite Peru Travel Agency and the Sacred Valley Lodge Hotel located in Cusco, Peru. Biosphere Delegate for São Tomé and Príncipe. William Shakespeare said that some people are born great; some achieve greatness while some have greatness thrust on them. The bittersweet journey of life through which Greg Bakunzi, the managing director of Amahoro Tours and founder of Red Rocks Rwanda in Musanze has travelled sums up the truth behind the Bard’s second view: some achieve greatness. From a humble but sometimes tortuous beginning, Bakunzi has now founded two companies, and is also a leading voice and activist in environmental conservation together with community sustainable development. Bakunzi also is a cultural icon; particularly through Red Rocks Rwanda initiatives geared towards uplifting the socio-economic lives of local community around Nyakimana village through ever widening programs like basketry, weaving, pottery, traditional music and dancing among others. Over the past years, Greg gained experience working as a Rwandan tour organizer and guide for various international tour operators. His professionalism and reliability, along with his exceptional understanding of the needs and desires of international visitors, have gained him renown among clients and respect among the members of local communities. Greg has been recognized by several Rwanda based organizations for his efforts in promoting responsible tourism and his community development agenda. Little by little, he gained tremendous experience and later found his flagship tour company, Amahoro Tours that has established reputation as one of the leading tour companies in Rwanda. From this, others like Red Rocks Rwanda, where Bakunzi bought a dry patch of stony land in Nyakimana village, and transformed into an attractive intercultural exchange center were established. Coming up with different life-changing initiatives has been a key component to Bakunzi’s nature of doing business but even though life is always like a magic carpet, where sometimes it takes you to the highest of the mountains, and sometimes to the deepest of the seas, Bakunzi believes that life is worth living, no matter the situation one is going through. Patricio holds a bachelor's degree in biology from the Universidad Complutense de Madrid and an MBA from the MBA Business School. He has more than 10 years of professional experience in the field of scientific research and in the tourism sector. He is responsible for the coordination and strategy of Biosphere projects, and contact point at an international level. More than fifteen years dedicated to conflict resolution in matters related to the tourism and leisure sectors, and strategic and operational consulting. Graduate with a degree in Biology, Central University of Barcelona. Bilingual Master in Economics and Business Management, IESE, Barcelona. Master in Tourism Business Management, ESADE, Barcelona. Founding partner of Advanced Leisure Services, S.L. (ALS) company of consultancy and promotion of projects in tourism, leisure and entertainment. Founding partner of Developing Natural Activities, S.L. (DNA), company of promotion and development of projects of tourism and leisure related to nature. Cipriano Marín was the Secretary General of the First World Conference on Sustainable Tourism (1995), and Deputy Secretary of INSULA (International Scientific Council for the Development of Islands, 1995-2006). He has promoted or coordinated five international conferences related to sustainable tourism, in addition to working as a consultant for both UNESCO and the European Commission. He has worked in innovation and field projects related to sustainable development, tourism and energy, including activities as head of Renewable Energy Futures for UNESCO and as coordinator of the Biosphere Smart Initiative, an observatory of UNESCO for the exchange of knowledge on climate change, green economies, and sustainable development. Manager at Satour Tourism Consulting and Marketing Director at Hanoi Red Tours, Flamingo Group Vietnam with a total of 1800 employees divided between a tour operator and two eco-resorts and based in Granada, Andalusia. He studied Protocol and Institutional Relations at the University of Granada and Master in Marketing and Business Management. Since 2008 he has helped different companies improve their tourism products. With more than 50 stamps in the passport, Roberto continues to spend as much time as possible in continuing to meet Indochina corners and helping local businesses to generate sustainable tourism that respects the environment and the local population. Passionate about Art, Classical Music and Opera is part of the organization of the annual Art in the Forest Contemporary Art contest in Vietnam. A residency program for young artists that combines their three passions. Annually 20 artists come together to develop their creations in a forest of more than 10 hectares where classical concerts and opera recitals are also organized among the works of the painting and sculpture exhibition. He holds a degree in Law from the University of Valencia and is currently Managing Director of Grupo ZT Hotels, President of the "Introducing Castellón" Product Club, President of the Hotel Association of Castellón and Managing Director of Tourism Strategy at Castellón Airport. He has also been Director General of the Themis Foundation of UNWTO, Tourism Advisor of the Government of Andorra, Director of the International Master of Tourism of the UPV and Director of Promotion and Product of the Generalitat Valenciana. He has directed tourism development and education projects for various educational and governmental entities in China, Peru, Mexico, Argentina, Uruguay, Central America and Spain, among others.